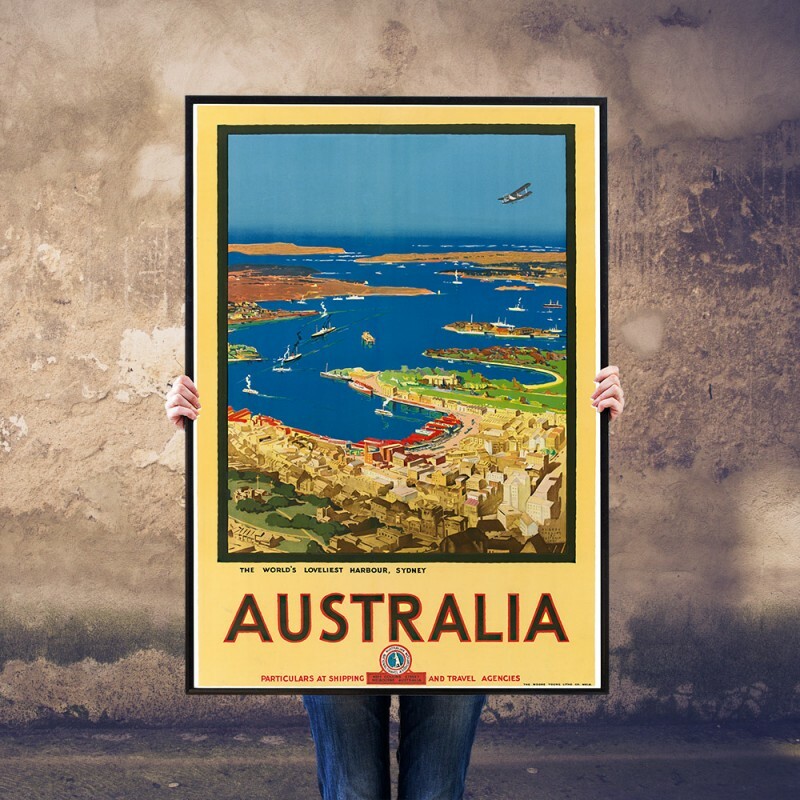 The artwork for the Original Colour Lithograph was designed by Albert Collins, Printed by The Moore Young Litho Co in Melbourne for the ANTA (Australian National Travel Association) in 1930. 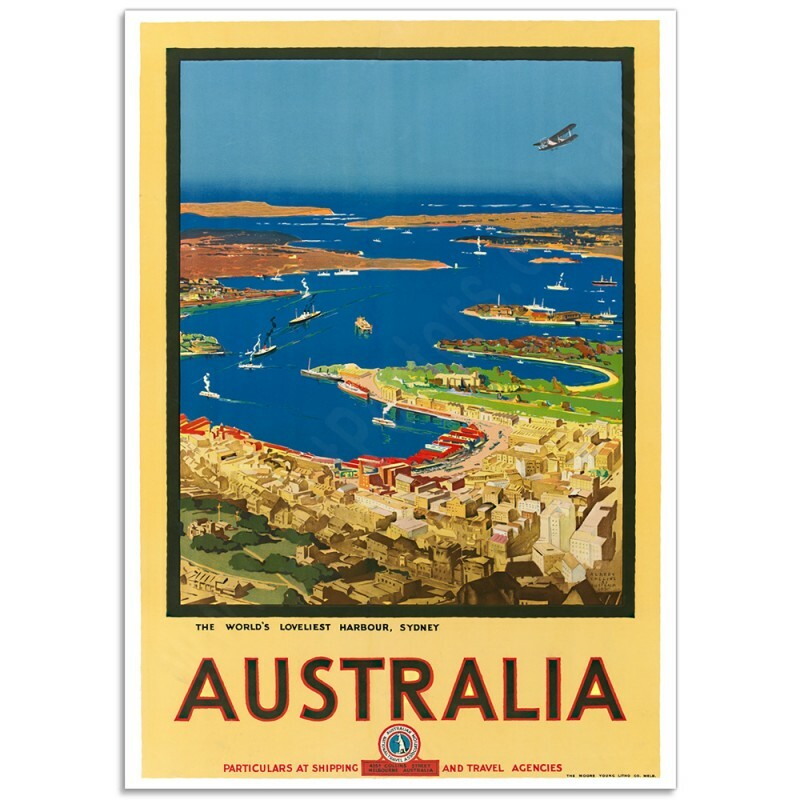 This wonderful Travel Poster shows us an aerial view of Sydney's harbour in 1930, two years before the Harbour Bridge was constructed. 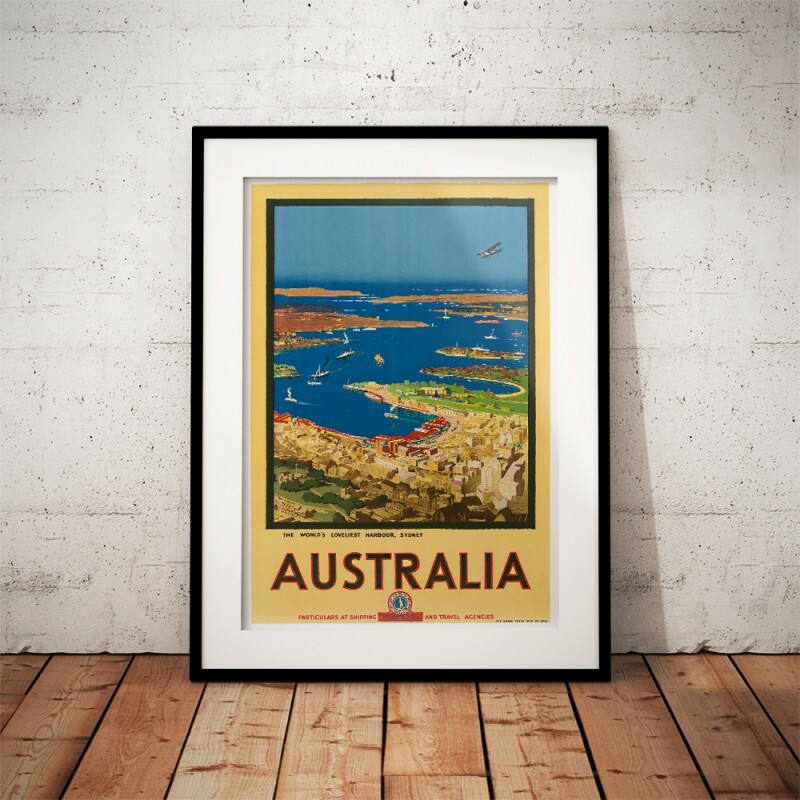 It's easy to see why Sydney Harbour is still regarded as one of the most beautiful natural harbours in the world. 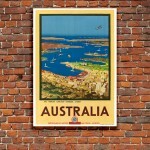 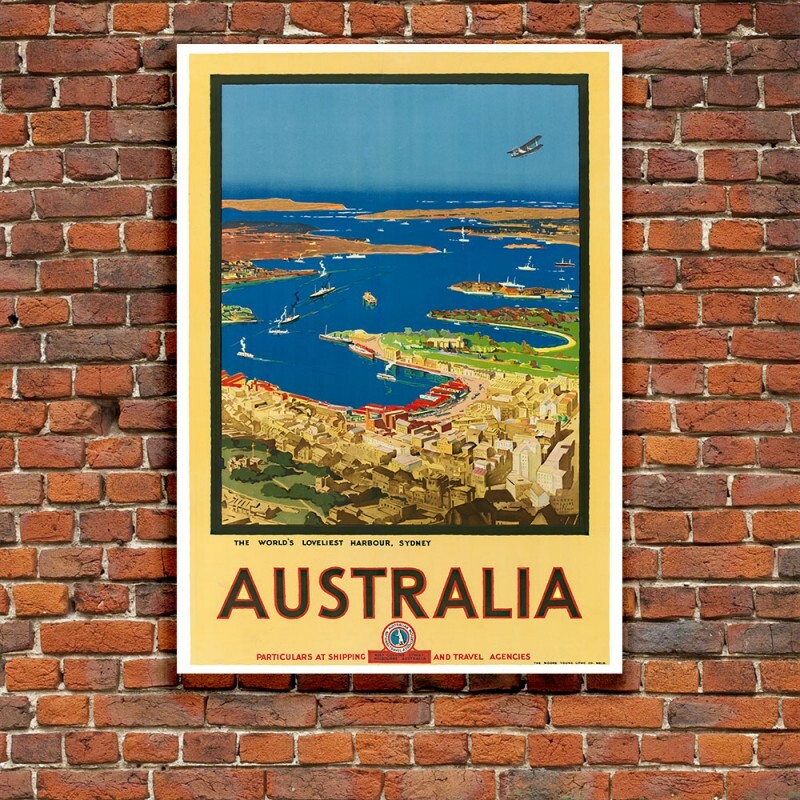 The 'World's Loveliest Harbour' Poster has been created from an original poster. 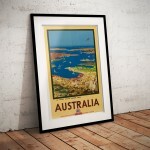 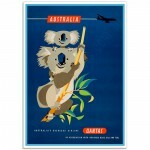 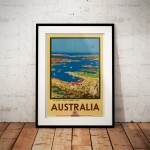 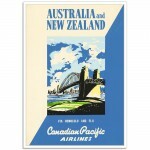 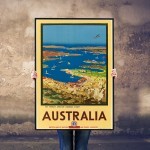 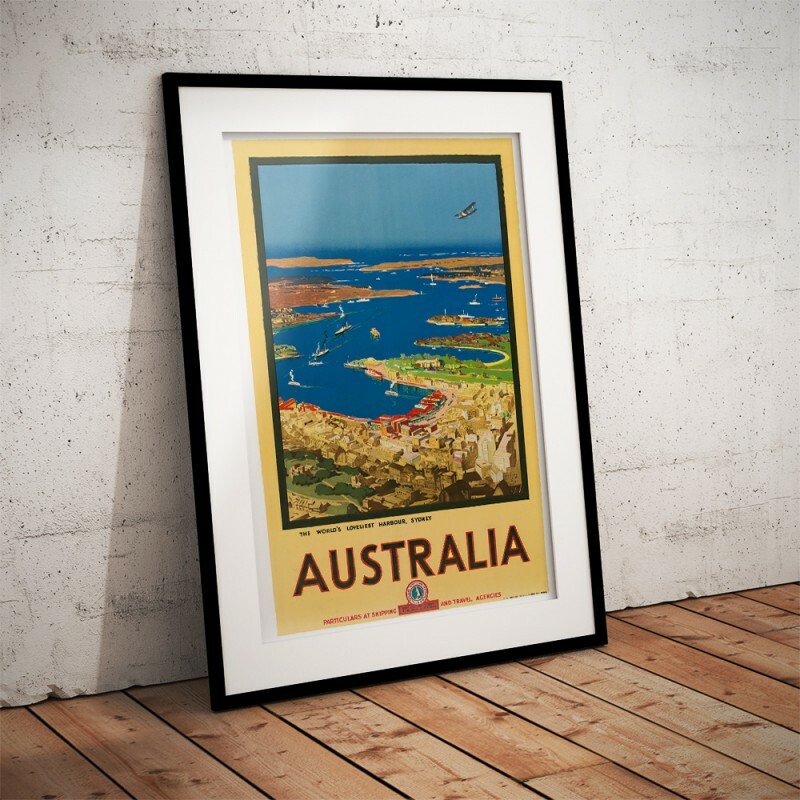 Australia - Vintage Australian Airline Poster Australia Koala and Joey - Australian Travel Poster Th..
Australia and NZ - Vintage Airline Poster.Australia and New Zealand via Honolulu and FijiThe origina..